Carolyn Rea Joers, 93, residing in South Bend, passed away peacefully surrounded by her family on Thursday, September 6, 2018. Caroline Louise Rea was born September 15, 1924 in Hammond, IN, to the late John Clinton Rea, Jr. and Hildegarde (Miller) Rea. After the death of her mother in 1939, Carolyn moved with her father and her sister, Elaine, to Evansville, IN. She graduated from Indiana University, Bloomington, IN with a B.S. degree in business, where she was a member of Delta Delta Delta Sorority. She continued her sorority affiliation after college. As a member of the local alumni chapter, she served in various offices, including president. She was later appointed by the national office as a state reference chairperson and district chairperson. As district chairperson, she visited alumnae chapters throughout the state of Indiana. She was also a member of the South Bend Mishawaka Panhellenic Association, Service Guild, Women’s Board of Memorial Hospital, Clay Church, Women’s Art League, and golf groups at Morris Park Country Club as well as 100 Dance Club. On June 11, 1949 in St. Mark’s Lutheran Church in Evansville, IN, Carolyn married Arnold William Joers. Prior to her marriage, Carolyn worked as a stewardess with United Airlines. In 1954, Carolyn and her husband opened Joers Floor Center, a family business for more than 66 years, in South Bend. Carolyn played a vital role in establishing two additional flooring outlets with her husband. She was the heart of the business and a wonderful secretary. 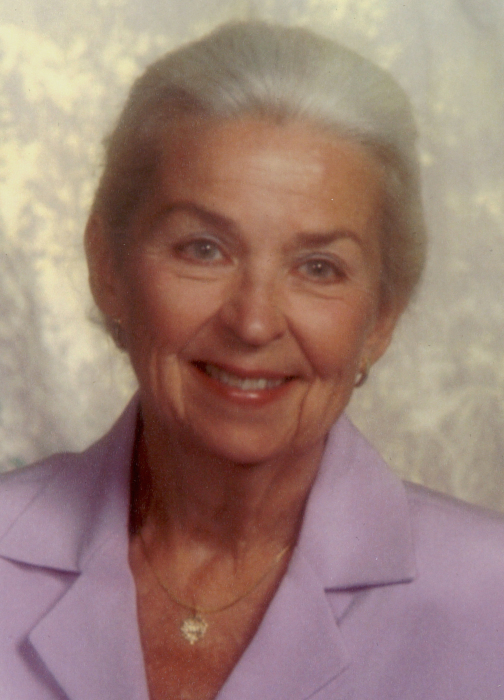 In addition to her loving husband of 69 years, Carolyn is survived by her three sons, Jeffrey Rea Joers of Mishawaka, Ronald William (Cindy) Joers of South Bend, and Randall Robert (Julie) Joers of Granger; as well as seven grandchildren, Jeffrey Rea Joers II, Brooke Caroline (Dustin) Calhoun, Jennifer Anne (Michael) Marderosian, Julie Kristen (Richard) Quigley, Ronald William (Christine) Joers, Jr., Randall Robert Joers, Jr. and Katelynn Rea Joers; and ten great-grandchildren. She is also survived by one brother, John C. Rea II of Newburgh, IN, and cousin, Dr. Tom (Marjorie) Rea of Edwardsburg, MI. She was preceded in death by her sister, Elaine Bego. Carolyn loved to fly, as her husband was a B-17 pilot in WWII and a co-owner of a Cessna 210 airplane. She loved to fly to Canada for fishing trips. She also had the opportunity to visit many foreign countries, especially enjoying a trip to Germany and taking a river cruise down the Rhine River. She was fond of old wine cellars and visited many in the European countries along the river. The family would like to extend their gratitude to Tracy, the hospice nurse, for her loving care of Carolyn, as well as to Jessica Dickinson, Carolyn’s longtime caregiver, for her continued love, support and commitment. Funeral services for Carolyn will be held at 10:00am on Monday, September 10, 2018 at Palmer Funeral Homes—Hickey Chapel, 17131 Cleveland Road, South Bend, IN. Rev. Brian Durand will officiate. Entombment will follow in the mausoleum at St. Joseph Valley Memorial Park, Granger. Friends may visit with the family from 3:00-6:00pm on Sunday, September 9th at the funeral home. Expressions of sympathy in memory of Carolyn may be donated to the Center for Hospice Care, c/o Hospice Foundation, 501 Comfort Place, Mishawaka, IN 46545 or to Clay Church, 52866 N. Ironwood Road, South Bend, IN 46635. Online condolences may be left for the Joers family at www.palmerfuneralhomes.com.